Your sheets are finally done tumble drying and now, it’s time to fold them. You slowly tackle the task of folding the duvet cover, flat sheet, and pillow cases - but then, you hit the dreaded fitted sheet. Should you try to fold it nicely despite several failed attempts, or crumple it up into a ball and call it a day? Don't give up. You are a winner, and today is the day you will master the art of folding a fitted sheet. Watch the BuzzFeed video below for step-by-step instructions to achieve the perfect flat fold and squared corners. Your linen closet will thank you. Or, better yet, skip folding altogether and put your freshly washed Endy Sheets back on your bed. 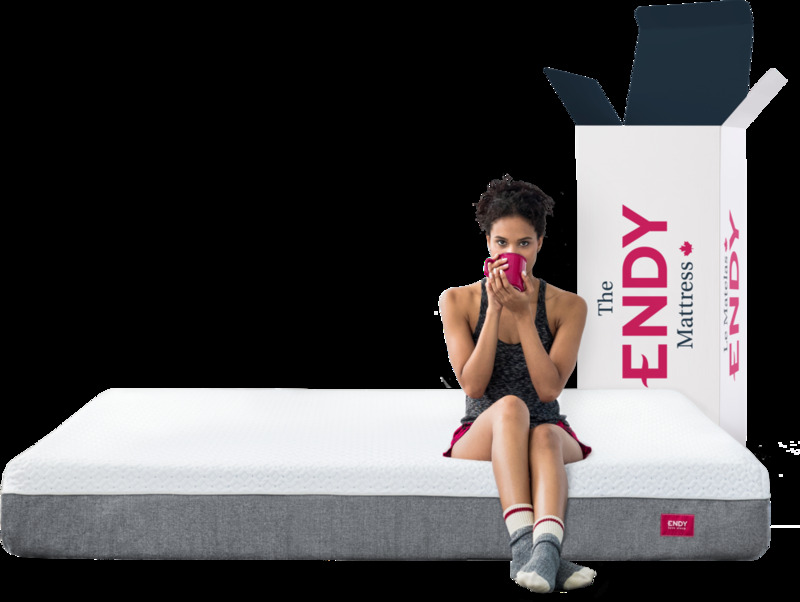 Endy’s made this super easy, as our fitted sheet has an embroidered logo that matches the logo on the Endy Mattress. You’ll never have to wonder which corner goes where. But in case you’re wondering, most fitted sheets have care labels that belong on either the upper right or lower left corner of your mattress. Want comfort, style and tech - all in one set?Canadians are cozying up to The Endy Sheets. Older PostWhat Even Is Thread Count, Anyway?